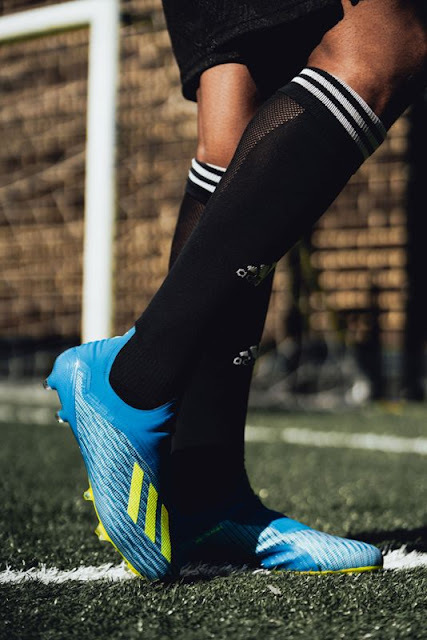 Adidas Football has today launched the all-new X18+, a boot designed to unleash the speed of the game’s most dangerous players. 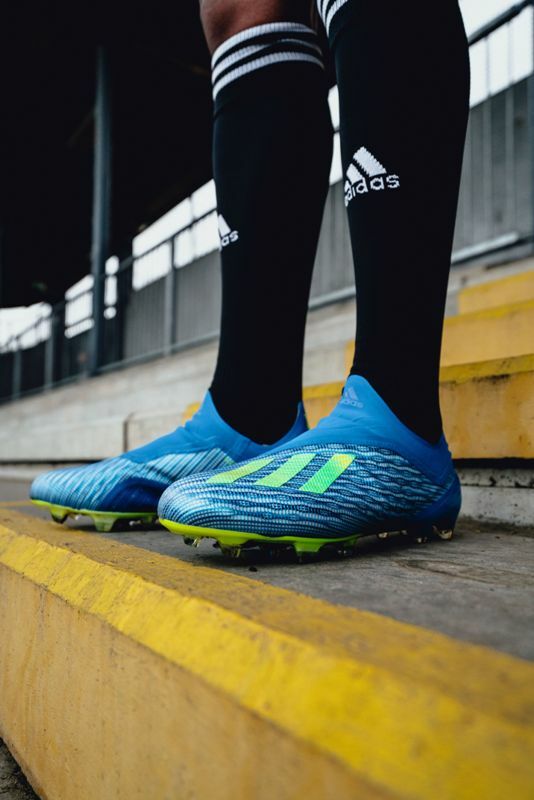 Released as part of the Energy Mode pack - alongside Predator, NEMEZIZ and COPA silos – the boot takes inspiration from previous Adidas models while being brought up to date through modern tooling and innovation. minimalistic construction to offer extreme traction during rapid acceleration. A 3D MOULDED HEEL provides a snug and stable fit, designed to lock the foot in place during acceleration. The Energy Mode X18+ is also available as a cage and street shoe. The cage version features the same colouring and CLAW COLLAR construction and laceless upper as the on-pitch boot; along with a full length BOOST™ midsole and traction studs. 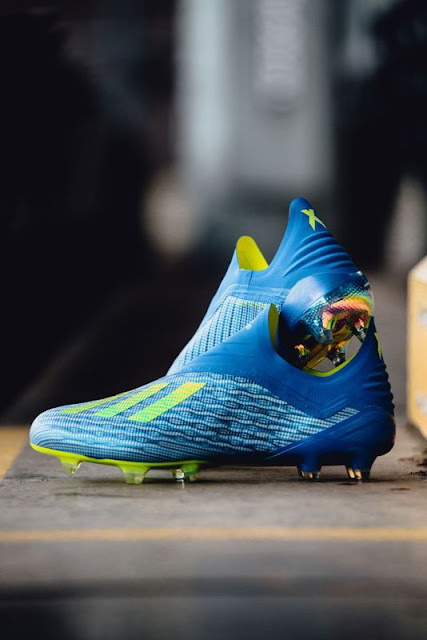 The Energy Mode X18+ will be worn on pitch by some of the game’s biggest players at the FIFA World Cup Russia and comes in a striking blue and yellow colourway. It will be available to purchase from Adidas.com and selected retailers. For further information visit Adidas.com/football or follow @Adidasfootball / #AdidasMY on Instagram to join the conversation. Adidas is the global leader in football. It is the official sponsor / official supplier partner of the most important football tournaments in the world, such as the FIFA World Cup™, the FIFA Confederations Cup, the UEFA Champions League, the UEFA Europa League and the UEFA European Championships. Adidas also sponsors some of the world’s top clubs including Manchester United, Real Madrid, FC Bayern Munich, Juventus and AC Milan. 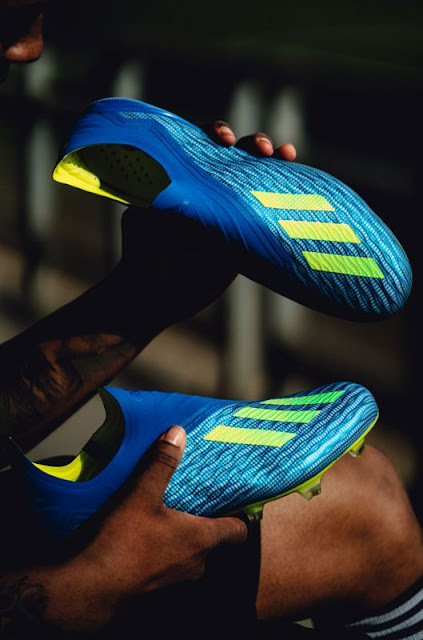 Some of the world’s best players also on the Adidas roster are Leo Messi, Paul Pogba, Gareth Bale, Karim Benzema, Roberto Firmino, Thomas Müller, Luis Suárez, James Rodríguez, Diego Costa, Mesut Özil, Renato Sanches and Julian Draxler.